How can you sell to customers if they do all of their research at home? How do you build relationships if they’re sat on their sofa? You need to go to them - digitally! 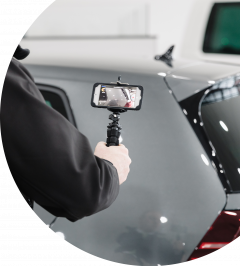 With the ability to record easy to make videos, tailor made for individual customer enquiries whatever the stage of their buyer's journey, and instantly improve your customer satisfaction levels. You don’t need to be Spielberg to create an award winning video. Stop and start as often as you want but as if by magic, create one seamless personalised video. Get critical customer insights by gathering measurable data on customer comments and feedback once they’ve engaged with their personalised CitNOW video. Create an instant relationship and delight customers by sending a quick and easy personalised response to build trust and emotional engagement. Turn that trust into a long lasting relationship that results in more returned calls, replies to emails and less appointment cancellations, saving you time and money and improving customer satisfaction. 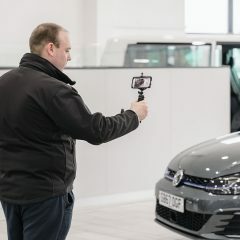 Instantly add value to your service by providing personalised videos, moving the prospect further along in their buying journey with a simple 60-second video. Get seen going the extra mile with your personalised video communications. It’s the little touches that make the difference in a crowded marketplace. 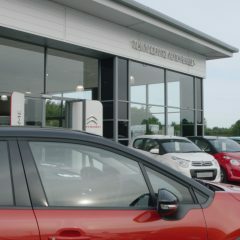 Watch our Sales app in action with this introduction from Craig Young, from Porsche Centre Glasgow. CitNOW’s 2017 Sales Video Award Winner.